‘Again, Again!’ must be the enduring memory of any person who has had the privilege to read aloud to young children. Well-loved stories that are requested over and again until such time that the little one concerned can recite the tale they love, so well, by heart. 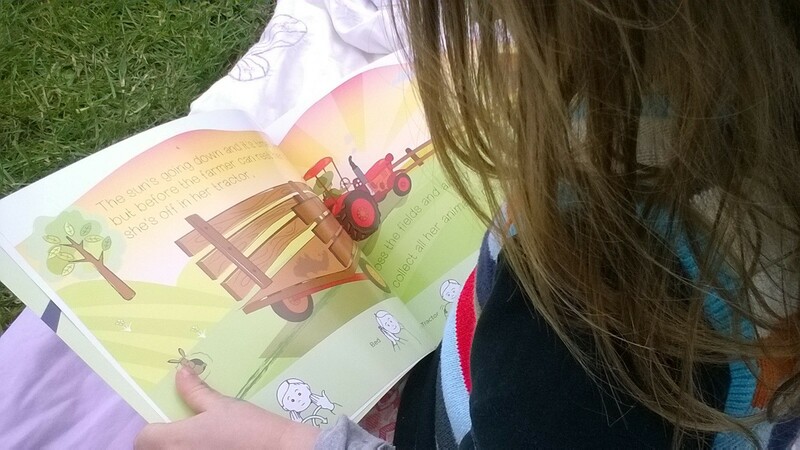 Join the busy farmer on her evening journey across the fields collecting weary animals who are looking forward to bedtime. 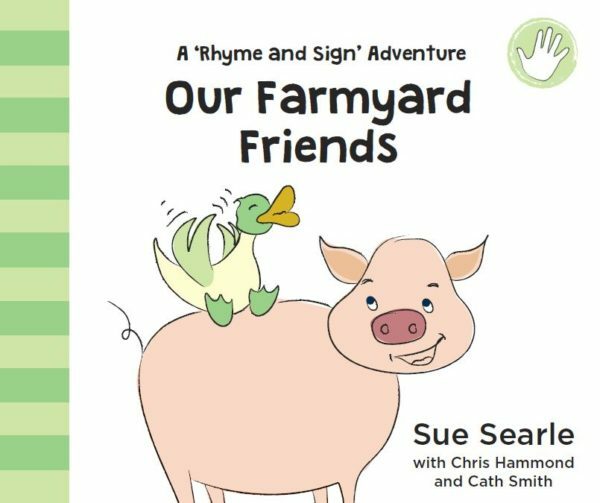 Meet new farmyard friends as they clamber on board the tractor…. there’s a tired old sheep, a muddy pig and even a hen in a hurry! 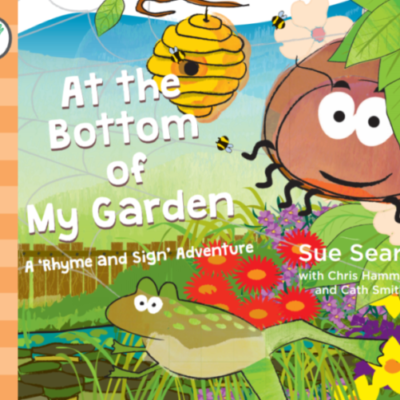 Accompanied by British Sign Language Graphics (from leading Early Years BSL author Cath Smith), this cleverly illustrated book shows you how to communicate key words of the story through sign language as well as spoken words. 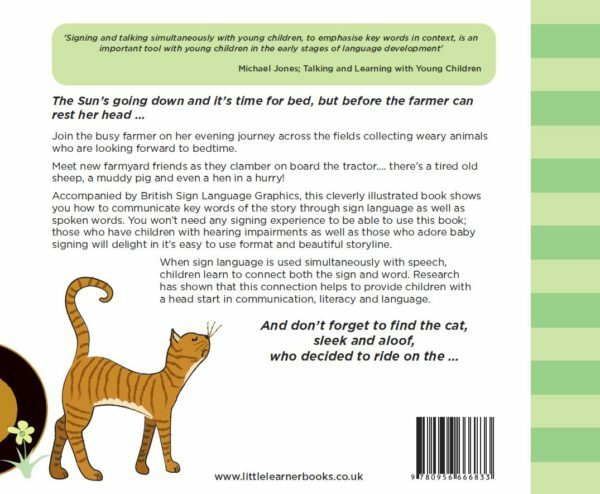 You won’t need any signing experience to be able to use this book; those who have children with hearing impairments as well as those who adore baby signing will delight in it’s easy to use format and beautiful storyline. When sign language is used simultaneously with speech, children learn to connect both the sign and word. 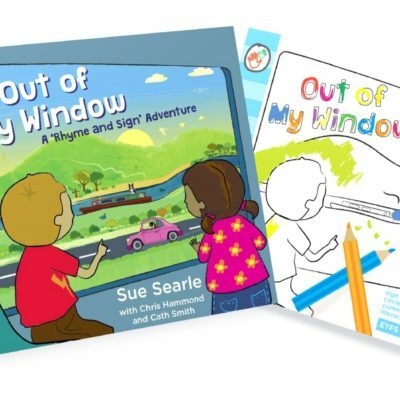 Research has shown that this connection helps to provide children with a head start in communication, literacy and language. ‘It has blown me away. It has been considered so that parents and children can enjoy it together. ‘It is so hard to find a good sign supported book to reccommend to families (I am a Speech and Language Therapist), I’ve found one! This is both a personal and a professional recommendation as my 4 year old loves it too! The book has a really clear glossary to show you what the signs look like before the story starts but these same pictures are also repeated throughout the book.